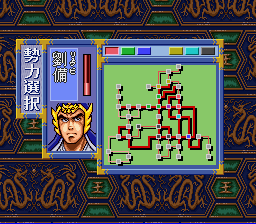 A year after Sun L’s Game Boy version, Capcom developed a third Tenchi wo Kurau RPG, this time for the Super Famicom. 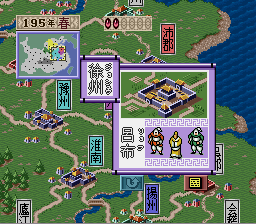 Rather than continuing or expanding upon the idea introduced in Tenchi wo Kurau for Famicom, the developers opted to copy Koei’s style. 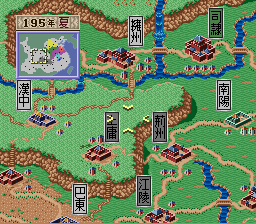 Including series like Romance of the Three Kingdoms, Nobunaga’s Ambition, and Genghis Kahn, Koei grand strategy games combine simulation, wargame, and RPG elements into a slightly discordant whole. 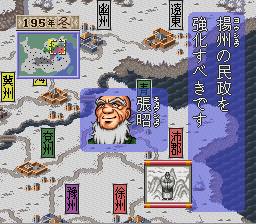 It’s most akin to Nobunaga’s Ambition, including basic economic, city-building, and war functions rather than putting more focus on one in particular. The flow of gameplay is pretty smooth, giving you a set number of tactical points to use every season. Any action, whether it’s farming, trading, drafting, or attacking, drains tactical points. When you run out of actions, the next season begins. 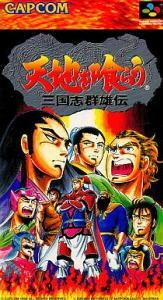 As in previous games, the ultimate goal remains to unify Japan, but there are now more generals to select than Liu Bei. 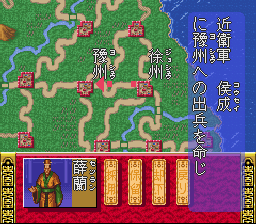 This only really alters the starting position and stats of your emperor, which don’t really sway the game too much. 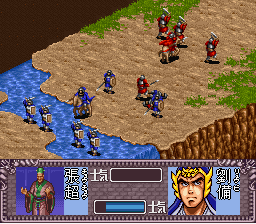 Additionally, there are also multiple scenarios to choose from, representing different time periods throughout the Romance of the Three Kingdoms storyline. The battles, unfortunately, are a little lame. 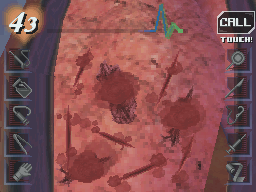 For some reason, enemies are invisible on the battlefield until they’re almost next to your units. When they are found, there are only two real forms of attack: an all-out skirmish or a special one-on-one battle between the generals. The outcome of the latter is pretty random, leading to some frustrating situations. 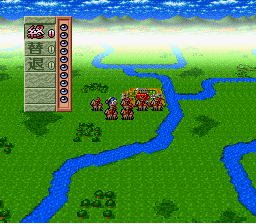 While an enjoyable game, it really doesn’t have anything to recommend over any other historical grand strategy title. 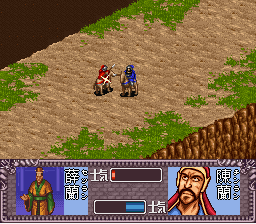 There’s no complex battle system like Romance of the Three Kingdoms or elaborate trade economy as in Genghis Khan, making the game feel rather bland in spite of its proficient game mechanics. 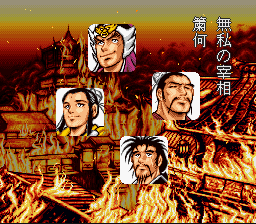 This would be Capcom’s final Tenchi wo Kurau game.